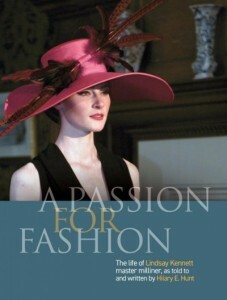 Join Parnell Heritage in celebrating the life of 1950’s Parnell milliner, Lindsay Kennett. The Melbourne Cup inspired event features Hilary Hunt, biographer of master milliner, Lindsay Kennett, to talk about Lindsay whose reputation and salon flourished in Parnell during the 1950’s and 1960’s. At the event, bubbly and canapés will be served and hats, both old and new, will be on display. Parnell retailer Hattitude will be displaying their range of more contemporary hats, and Doris de Pont of the Fashion Museum will be Judge for “Best Hat” and “Best Vintage Hat”. So come along in your best hat & finest ensemble – but with or without a hat, please come along and enjoy this end-of-year event! Tickets $25 each or $45 for two, including bubbles and canapés. Bookings are preferred, but door sales (cash only) will be available. To book, enquiries@parnellheritage.org.nz or call 09 846 7661 (Sue). This entry was posted in Auckland, Hats, Heritage, Lectures & Talks, Local events and tagged hats, Hilary Hunt, Lindsay Kennett. Bookmark the permalink.